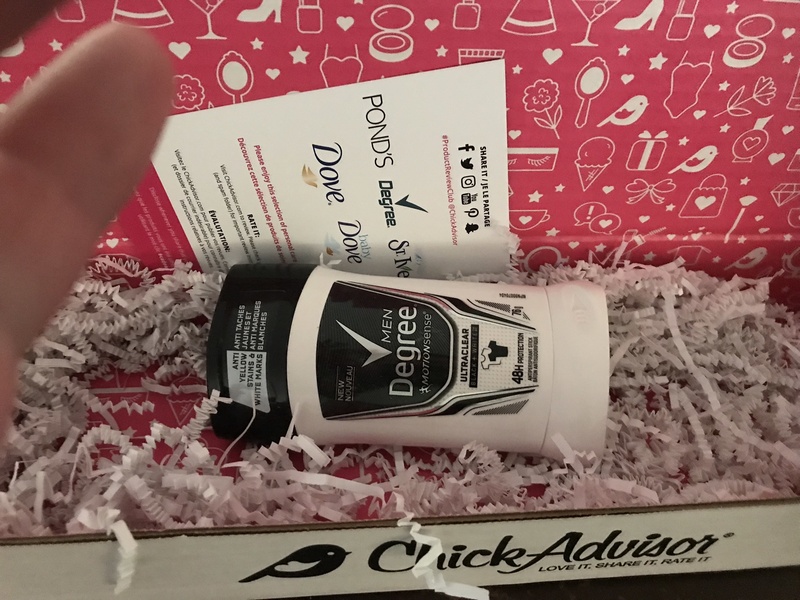 My husband tested the Degree Men Ultraclear black & White Antiperspirant Stick that i received from Chick advisor and really liked it. 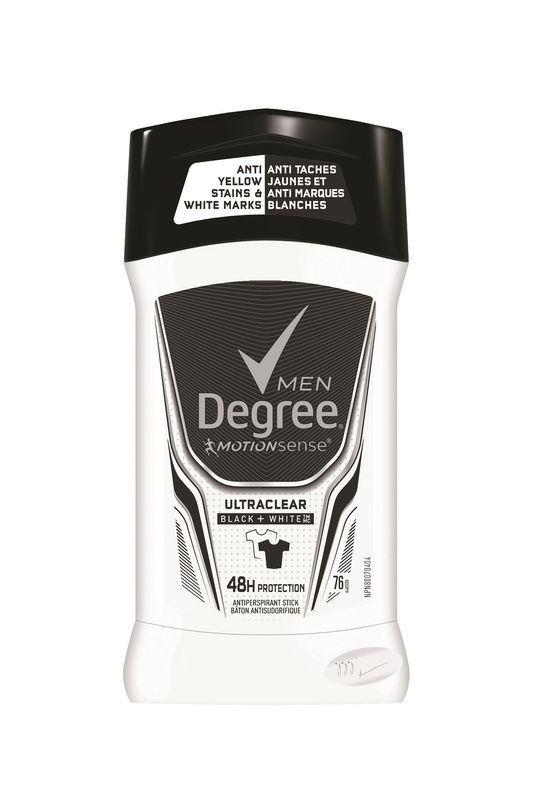 He has always been a gel type of guy and refused to try any deodorant that left white marks. He liked that it went on smooth and kept him dry all day and like the scent. He would definitely buy it. Mon conjoint l'a essayé et a vraiment aimé. Efficace toute la journée. Moi, j'adore l'odeur, leger et masculin à la fois. 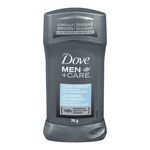 My hubby loves this antiperspirant! 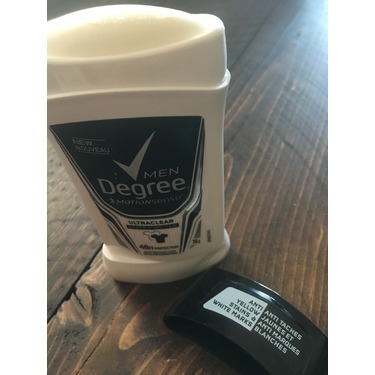 My husband really likes this antiperspirant - loves that it goes on dry and he likes the fragrance too! 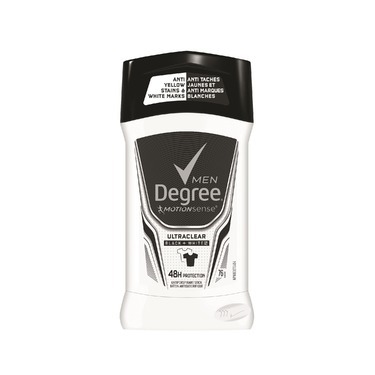 His work is physically demanding and he's found that Degree works really well to control odour and perspiration. 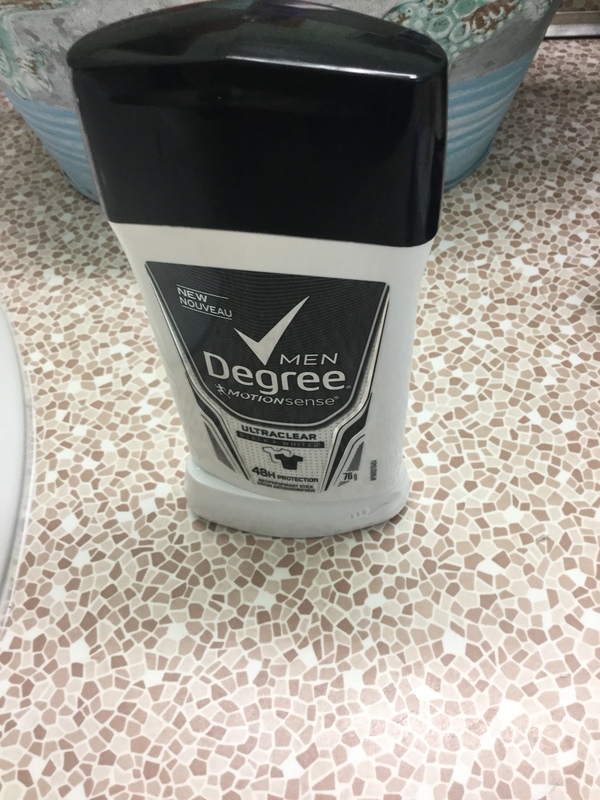 He plans to keep using it - he's tried several other brands but this is his new fave! 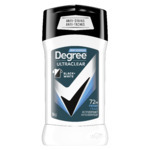 First off I only use antiperspirant, never deodorant and I normally use clear gel types so as to avoid that white sticky mess getting on my pull over shirts. 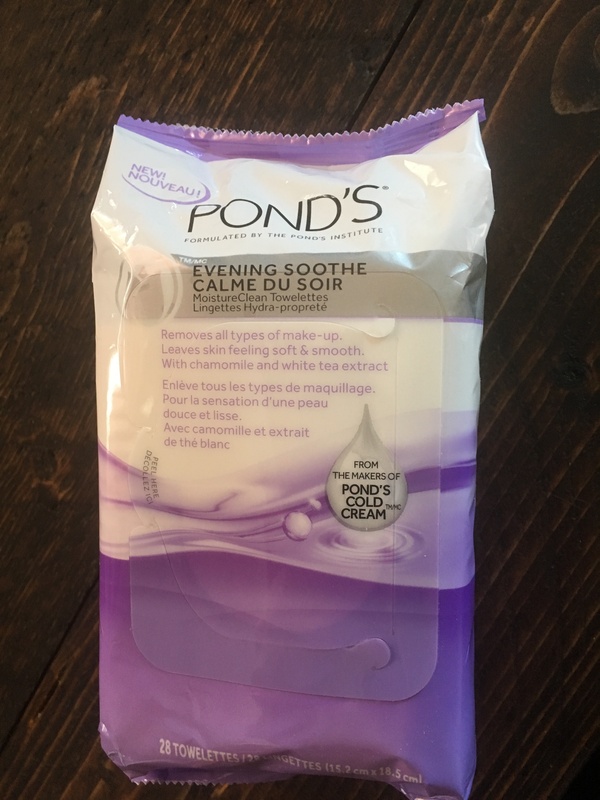 I hesitantly tried this solid as part of a product review trial. Made me rethink solids! No white mess even with black t-shirts. Little to no scent, which I also like. You've sold me! 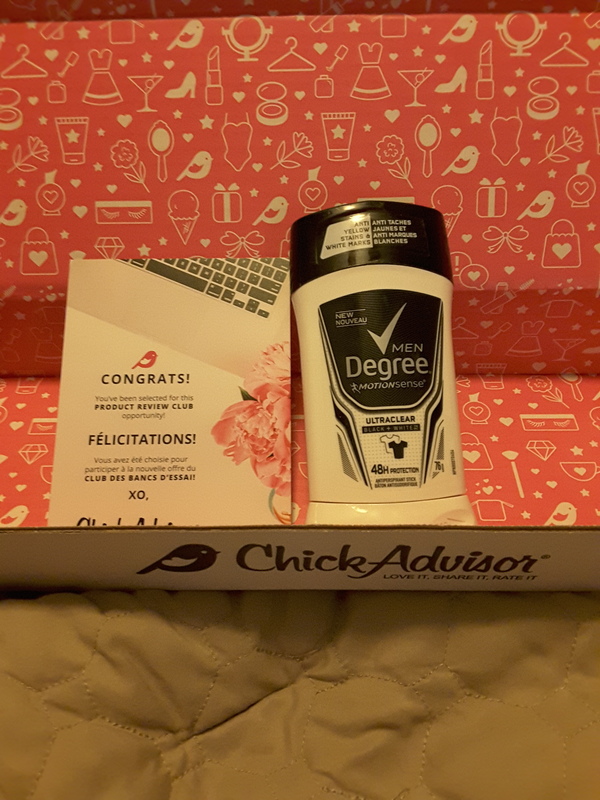 I received Degree Men Ultraclear Black + White free as part of the ChickAdvisor Product Review Club and my husband tested it. 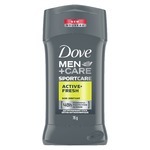 For me, I thought it smelled nice as I don't usually care for men's fragrances. My husband reported that it felt smooth and kept him dry, even during his workout and that he wasn't finding "white bits" in his armpits. 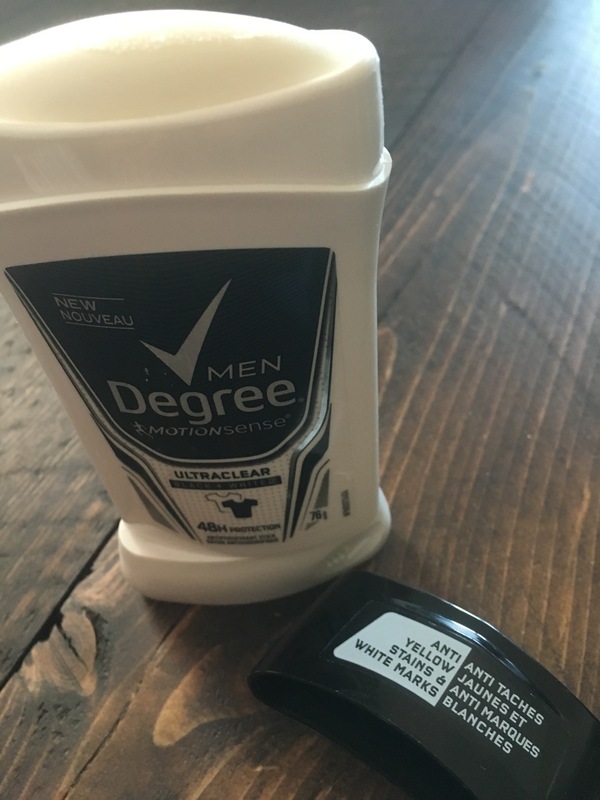 This deoderant is wonderful for men. My husband says it glides on smoothly and leaves no marks. 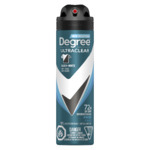 This product is able to protect while not leaving any marks. 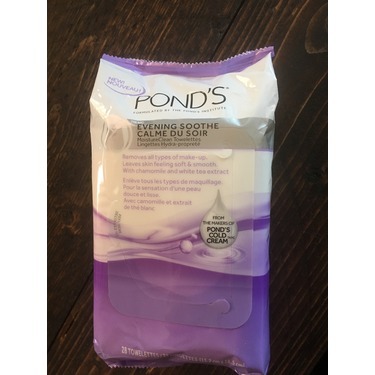 My husband liked the product and would recommend it to family and friends. 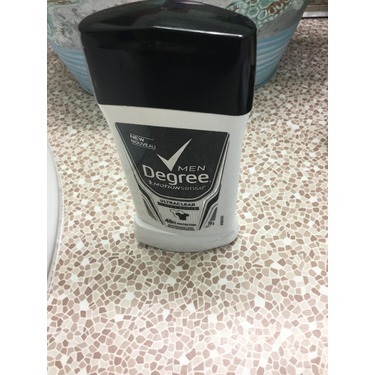 My husband frequently plays hockey and this product works when he works up a sweat. This product smells great too. Love the scent and no white marks on clothing! J'ai bien aimé mon déodorant degree man ultraclear black + white . J'ai trouvé qu'il avait une tres bonne odeure et que sur la peau il ne laissait aucune trace. Le seul point negatif , sur moi il n'est pas efficace 24h , ce que j'ai moins aimé.